If anyone at Lake Tahoe has bee issues that need answering next week, they need look no farther than Harrah's Lake Tahoe. The beekeepers will be there! The California State Beekeepers' Association (CSBA) will meet for its 128th annual convention, Tuesday through Thursday, Nov. 14-16, at Harrah's Lake Tahoe. The theme: "Inputs, Outputs and Expectations." Secretary of Agriculture Karen Ross will deliver the keynote address at 10:30 a.m., Tuesday. President Steve Godin of Visalia will helm the three-day conference, aided by first vice president Mike Tolmachoff, Madera; second vice president Brent Ashurst, Westmorland; and treasurer Carlen Jupe of Salida. Their scientific advisor is Extension apiculturist Elina Lastro Niño, based in the UC Davis Department of Entomology and Nematology. Niño will speak on "Research Stories from the Niño Lab" at noon on Wednesday, Nov. 15. Staff research associate (and husband) Bernardo Niño of the Harry H. Laidlaw Jr. Honey Bee Research Facility will address the group at 10:30 a.m., Thursday on "Practical Solutions for the Beginner Beekeepers." Extension apiculturist emeritus Eric Mussen of UC Davis will lead a "Bridging the Gap" panel at 11 a.m., Thursday. 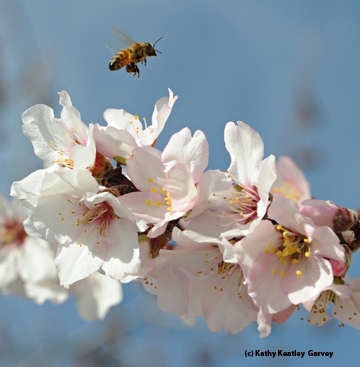 Bee breeder-geneticist Sue Cobey of Washington State University, former manager of the Laidlaw facility, will speak at 1:30 p.m., Thursday on "Collecting Honey Bee Germplasm in Europe and the Impact on Genetic Diversity in the United States." Basically, it's about building a better bee. All in all, it promises to be an educational and informative conference, centered on our littlest agricultural workers: the honey bees. CSBA is headquartered at 1521 I St., Sacramento. 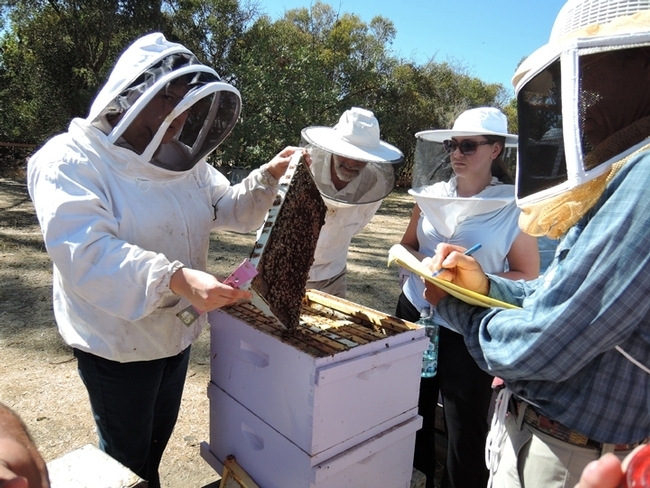 The office can be reached at (916) 441-0302 or contact@californiastatebeekeepers.com.